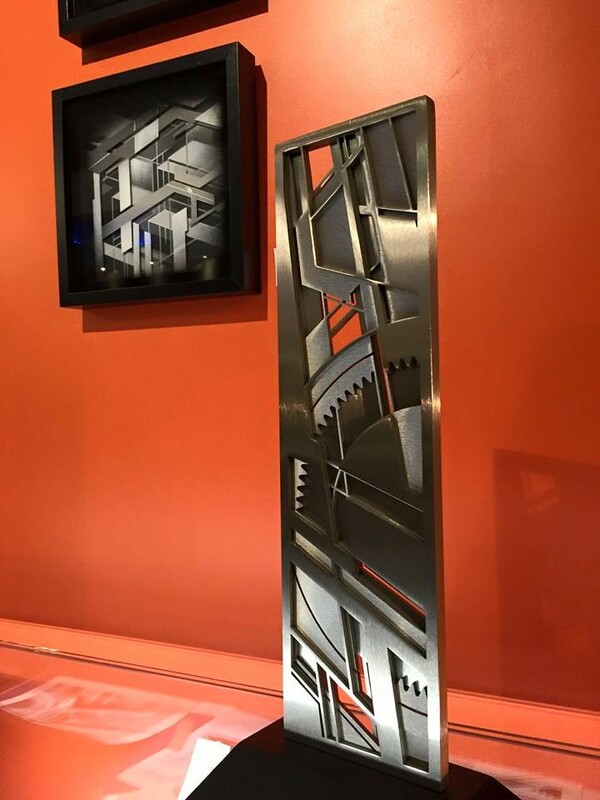 Xavier Magaldi is known for combining the rigorous craft of watchmaking with the unconstrained approach of street art and the unusual use of light to create his intricate mechanical imagery. 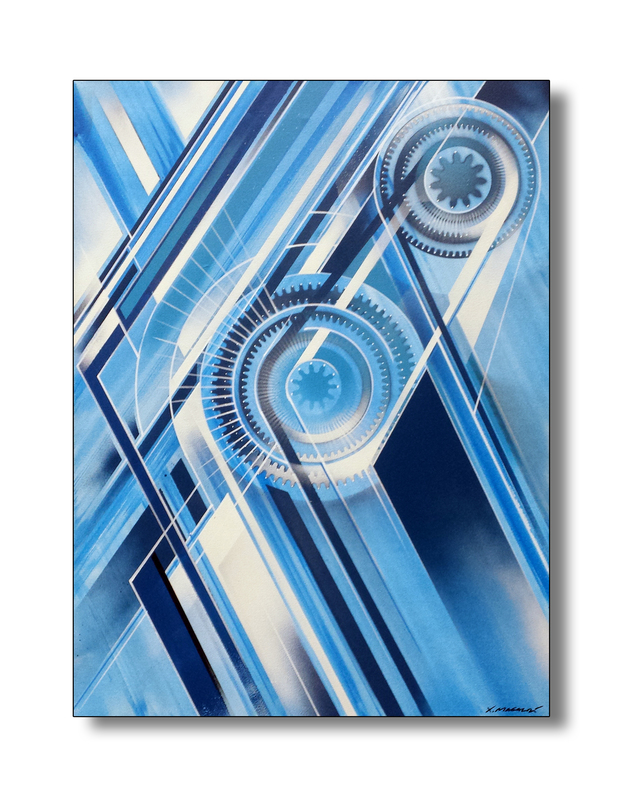 Having made a very successful transition from graffiti to fine art years ago, the artist now uses his extensive street art experience to create numerous works on canvas. The latest series of Xavier Magaldi’s paintings and silkscreen prints will be on display at iDroom gallery in Geneva at a solo show entitled #401. Swiss artist Xavier Magaldi discovered the fascinating art of graffiti at the end of the 1980s and became instantly interested in the various techniques of lettering. After a few years of wild-style painting he moved on to free-style and mechanical drawings. The many years of free artistic creation have encouraged the artist to take the next step and move his works from the streets onto the canvasses. 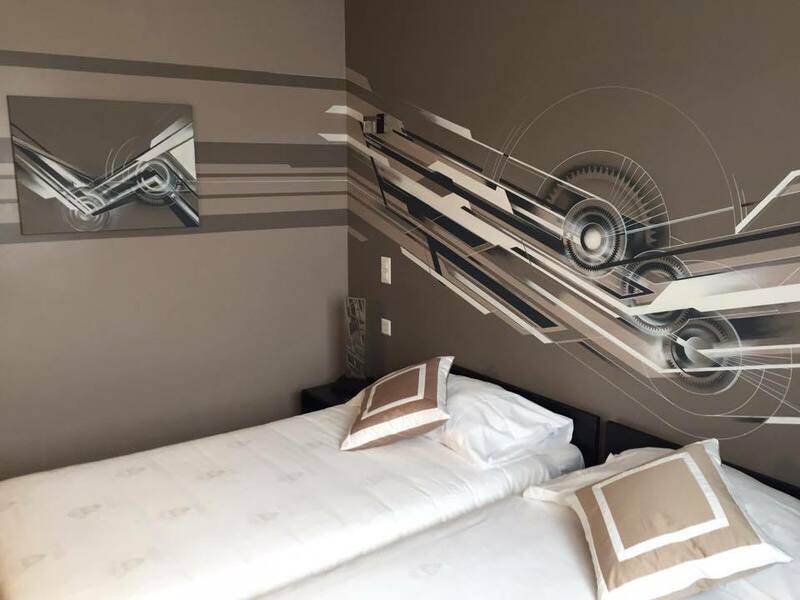 In 2013, Xavier Magaldi created a new movement coming from the motion graffiti called the MecaFuturism. His style is inspired by pure geometry lines of Cubism of the 1920’s, but it’s heavily influenced by the masterpieces of Italian futurists as well. 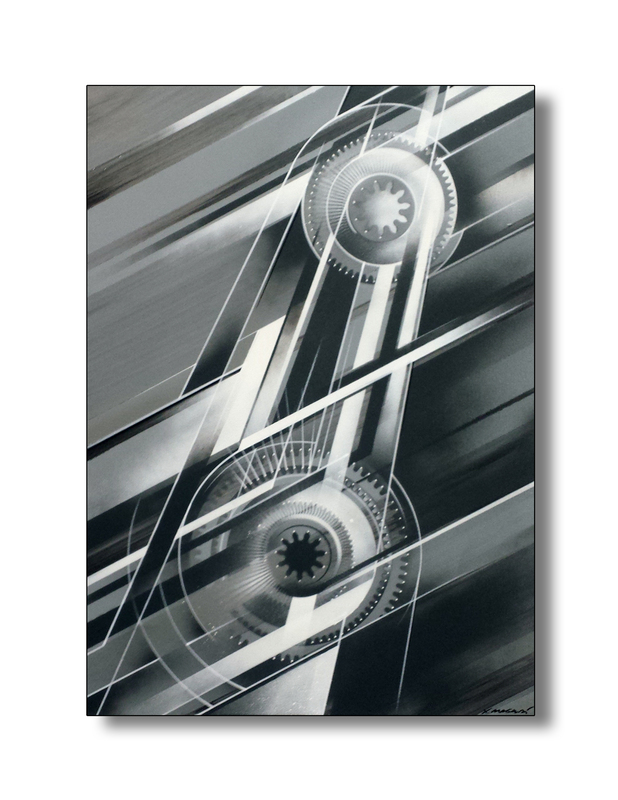 Today, the artist works in the field of a mechanical abstract art and he continually develops his recognizable style. The paintings of Xavier Magaldi have their roots in his never-ending quest for the materialization of time. Xavier Magaldi has taken training in watchmaking and his technical skills show as the artist portrays watch mechanisms, geometry shapes and precise lines throughout his numerous works. 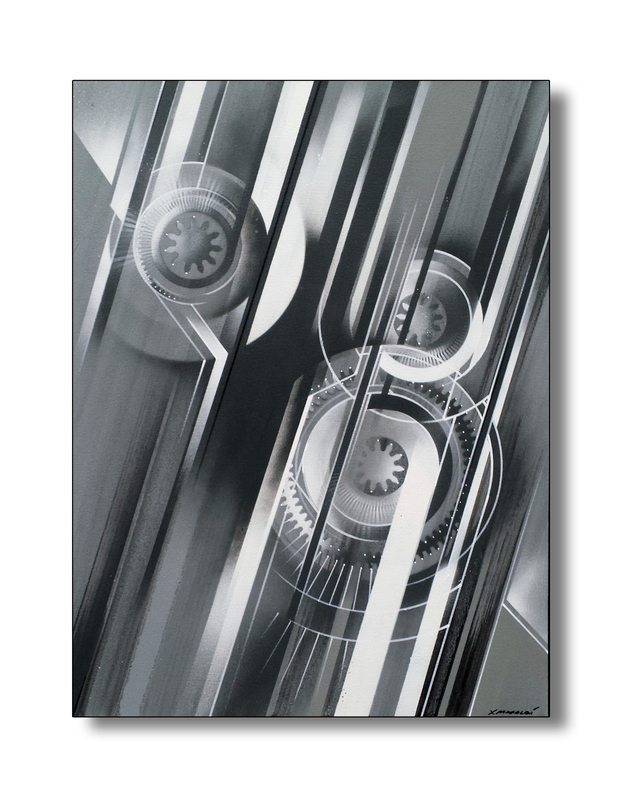 His intricate, yet elegant imagery resembles industrial drawings, embellished with the futuristic appeal. 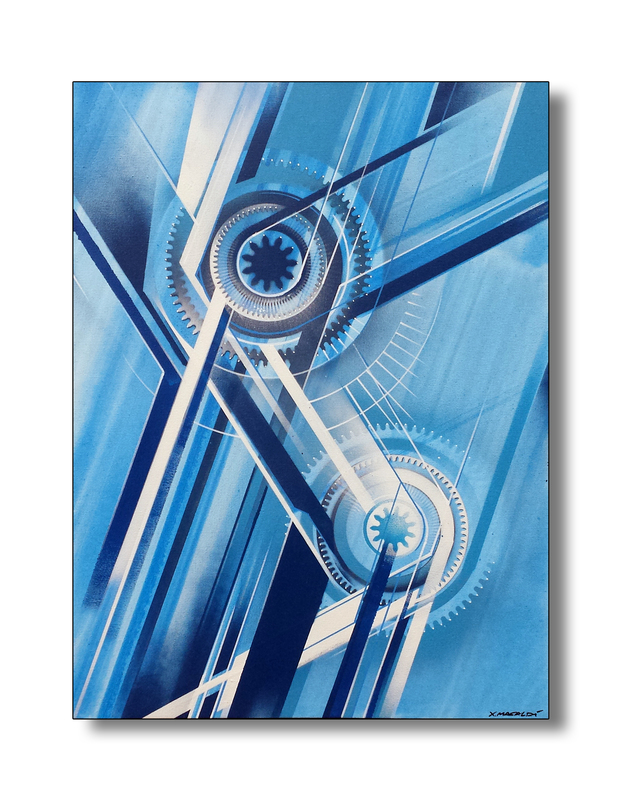 By employing his detail oriented painting technique, the artist has managed to capture both the energy and the precision of machines. With its clear lines and simple color palette Xavier Magaldi’s imagery quickly pulls the viewers into the futuristic world of the Swiss artist. #401 exhibition opens on Tuesday, November 24th, 2015 at iDroom gallery located in the Windsor Hotel in the very heart of the Swiss city of Geneva. The reception with the artist is scheduled for the opening day starting from 6.30 pm. #401 exhibition will be accompanied by the opening of the new room created by Xavier Magaldi at Windsor Hotel. Additionally, a special series of silkscreen prints by the prominent artist will be launched at the exhibition as well. New body of work by Xavier Magaldi will be on display till January 6th, 2016 at iDroom gallery in Geneva. Article suivant Book the Room!